If you hadn’t noticed by now, it’s Black Friday and there are deals a’plenty to go around. Whether you head to a retail store, shopping mall or just shop online (mostly in the United States), you’ll find excellent deals on a range of games. 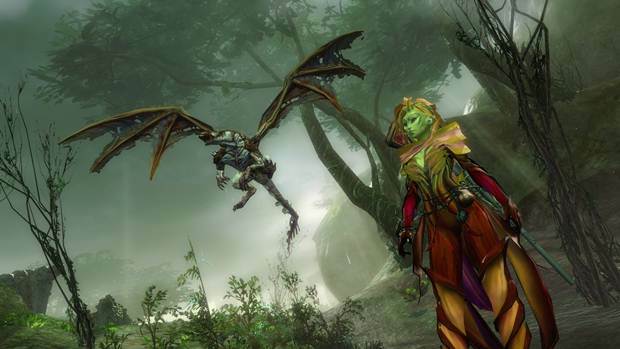 ArenaNet’s Guild Wars 2 is a good example and is currently discounted by 50 percent on the developer’s official store. The deal starts now and will conclude on December 7th, 11:59 PM PST. Both the Digital Heroic Edition and Digital Deluxe Edition will be available for 50 percent, which means you can pick up the former for $24.99 (£17.49) or the latter for $34.99 (£24.99). Guild Wars 2 has been out since August 2012 and is arguably one of the finest non-subscription based MMORPGs currently available for PC. Will you be taking advantage of the deal? Let us know your thoughts in the comments below and stay tuned for more information on Black Friday deals and discounts.